Executive-in-Residence, Former CEO, Heidrick & Struggles International, Inc.
Patrick S. (Pat) Pittard is the principal of PatrickPittard Advisors, a level human capital firm. He is the retired CEO and Chairman of Heidrick & Struggles International, Inc., (HSII) the world's premier provider of executive-level search and leadership consulting services. Pat specializes in senior level searches such as CEO and Corporate Directors; he has placed more than 200 executives in leadership positions. During Pat's tenure as CEO of HSII, the firm experienced impressive financial growth and global expansion. He led the merger of the firm's U.S. and European operations, which had operated separately for 19 years. Pat also led the firm's initial public offering, and nine months later its follow-on offering creating a financial foundation for HSII second to none in the industry while at the same time enhancing global preeminence by spearheading the firm's expansion through organic growth and several strategic acquisitions of established firms in North America, South America, Europe, and Africa. In addition, he guided the firm into numerous strategic alliances, and into the creation and development of complementary businesses to add to the firmâ€™s core search products. 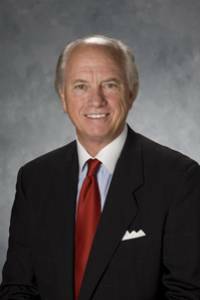 Pat graduated from the University of Georgia and has been honored by the Terry College of Business as a Distinguished Alumni Award winner. He has held or currently holds several board positions. The organizations both for-profit and not-for-profit include HSII (former Chairman), Artisan Funds, Lincoln National Corporation, CBeyond, LeadersOnline (former Chairman), University of Georgia Foundation (former Chairman), Revenue Analytics, EHS, Tatum LLC, RiseSmart, Greensboro Baseball LLC, and MCG Health. Pat is considered an expert in executive level, human capital matters, which include recruitment, retention, compensation, and succession. Pat is often quoted in the Wall Street Journal, Fortune, and BusinessWeek, as well as many international publications. He has appeared on broadcast media, such as CNN and MSNBC. With multiple appearances on Power Lunch. He is listed among The Global 200 Executive Recruiters. He is also a co-owner of a minor league baseball team. He is a 2002 Appalachian Trail thru-hiker, and authored the book Bearfoot, A Northbounder. Presently, Pat is a Distinguished Executive-in-Residence at the Terry College of Business, which is a faculty position. Each fall, he teaches a course called "Lessons in Leadership." Pat and his wife, Dana, have three children, and have homes in Lakemont, Atlanta and Sea Island, Georgia.